ryan ellis | Clarksville Sports Network - Clarksville Tennessee's most trusted source for sports, including Austin Peay State University. 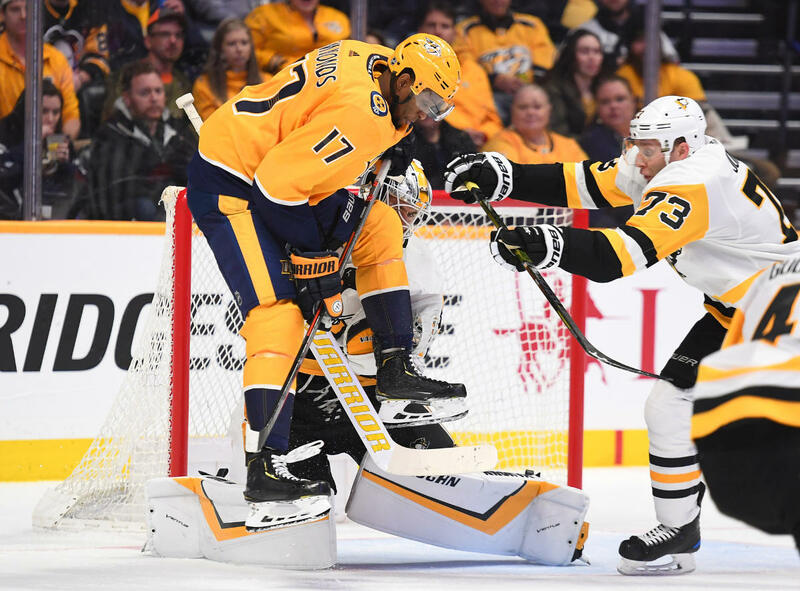 Nashville, Tn — The Nashville Predators fell to the Pittsburgh Penguins, 2-1 in a Bridgestone Arena shoot-out, with Sidney Crosby proving to be the difference. 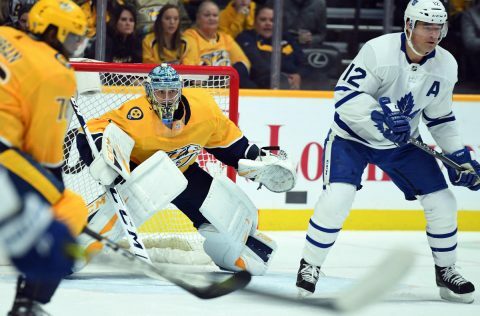 Nashville, Tn — The Nashville Predators had their way with the visiting Toronto Maple Leafs tonight, pitching a shutout, 3-0. Newly acquired forward Wayne Simmonds scored his first goal as a Predator and Pekka Rinne stood tall in net, as Nashville shutout the Leafs for the second time this season. 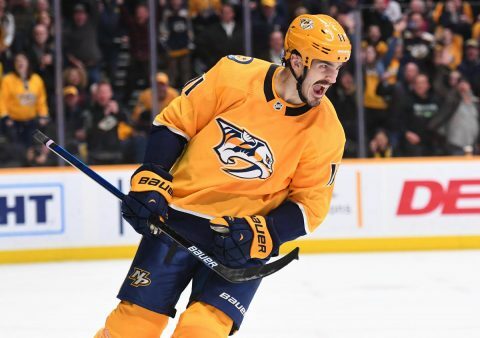 Brian Boyle got things started for Nashville at 4:47 of the first period when he and Craig Smith pulled off the classic “give and go” to perfection, ripping the puck past Toronto goalie, Frederik Andersen for the early 1-0 lead. Nashville would take that lead into the first intermission. 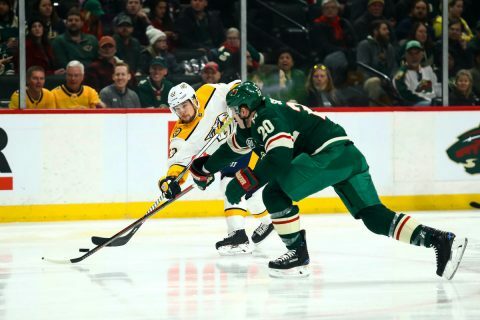 St. Paul, MN– The Nashville Predators clawed their way back from a 2-1 deficit against the Minnesota Wild tonight to win the game, 3-2 in a shootout. 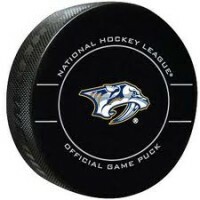 The two points Nashville picked up keeps them in touch with the Central Division leading Winnipeg Jets who beat Columbus 5-2 today. 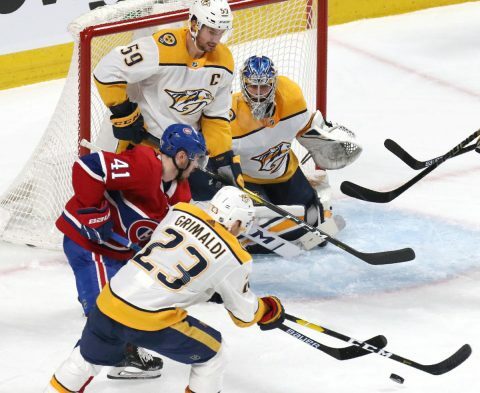 Nashville faced several ex-Predators tonight with Kevin Fiala facing his former team, along with Anthony Bitetto, Ryan Suter and Pontus Aberg. The Predators brought former Minnesota sharp-shooter Mikael Granlund with them to face his former team as well. 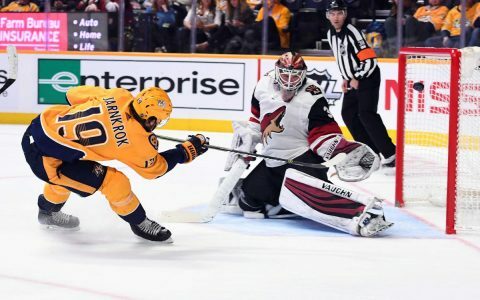 Nashville, Tn — The Nashville Predators broke a three game home losing streak tonight by downing the visiting Arizona Coyotes, 5-2. Nashville had to come from behind to do it. Vinnie Hinostroza took a pass from Alex Goligoski in the slot and flipped a shot over the shoulder of Nashville goalie Pekka Rinne at 16:59 of the opening frame, for the early 1-0 lead. This after the Predators dominated play from the outset but couldn’t score. The period ended with the Coyotes taking the lead to the locker room, but you just knew that Nashville would storm out into the second period and take charge. 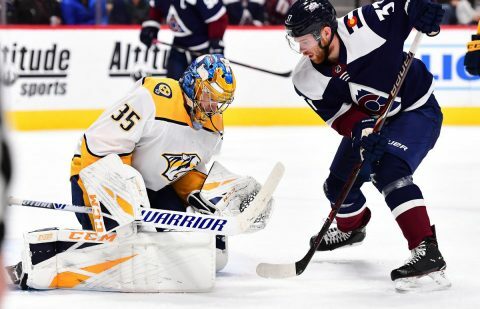 Denver, CO– The Nashville Predators broke through with a much needed win today in the mile high city of Denver, Colorado, shutting down the Avalanche, 4-1. Coming off of back to back losses, the Predators stood tall behind the unbelievable play of their Vicenza Trophy winning goalie, Pekka Rinne. Rinne absolutely shut the Avalanche down in the first period and had it not been for his stellar play, Nashville could have easily been down 5-0. Head coach Peter Laviolette had commented that he saw a lot of good things in his team over the last couple of games, but they needed to come better prepared to start the first period. Nashville fell behind early in the last two games and couldn’t recover. Nashville, Tn — The Nashville Predators dominated the Philadelphia Flyers tonight at Bridgestone Arena behind the shutout performance of Juuse Saros in goal, 4-0. 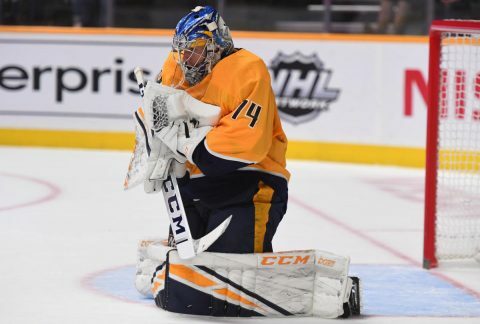 This was the second shutout of the season for Saros and was only his second start in two weeks. Saros stopped all 32 shots on goal tonight and was named the first star of the game. The two teams played a back and forth first period with no scoring before the intermission. That all changed in the second period. 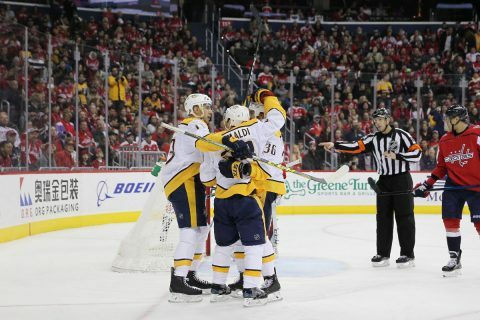 Washington, DC — The Nashville Predators finally broke through with a win today, defeating the reigning Stanley Cup Champion, Washington Capitals, 6-3. 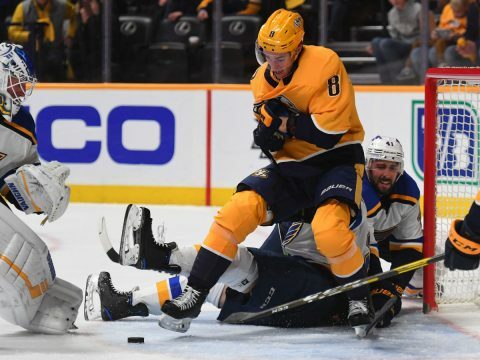 The Predators had been on a bit of a slide, losing their last six games, and the victory today could be a sign of better things to come. With their mothers in attendance, the Predators had an extra dose of motivation coming into today’s game. Washington got off to a quick start when Michal Kempny took the face off and whipped a wrist shot past Nashville goalie Pekka Rinne for the early 1-0 lead. The score came at the 4:33 mark of the opening frame.